Improving your strength and balance is one of the best ways to prevent falls. To achieve health benefits and improve functional abilities, adults aged 18 years and older should do at least 150 minutes of moderate to vigorous intensity aerobic physical activity per week, in chunks of 10 minutes or more. However, physical activity decreases across the life course, with significant declines in both young adulthood and older adulthood. 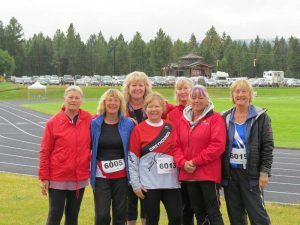 Getting older doesn’t necessarily mean becoming more sedentary; for Christine Hinzmann, reporter at the Prince George Citizen, and a member and participant of the 55+ BC Games, physical activity remains an important part of her life. Q: What is the 55+ BC Games? A: The 55+ BC Games is an annual multi-sport event organized by the BC Seniors Games Society where participants can choose from as many as 29 different activities, from archery, bocce, bowling, card games, darts, hockey, pickleball, swimming and, my personal favourite, track and field. Q: How long have you been involved and what are some of the activities you enjoy in the 55+ BC Games? A: This was my first year participating in the 55+ BC Games as I just turned 55 six days before the event. I like to throw things so I competed in the field events of discus, shot put and javelin. The camaraderie among the competitors was incredible. We cheered each other on, we offered words of encouragement and when it came down to the actual contest we could take the opportunity to do our very best—whatever that looked like for each of us. Aside from the actual competition, another highlight for me was the parade of athletes during the 55+ BC Games opening ceremonies. I felt like a shining star, excited to be part of the pomp and circumstance, and by the look on all the smiling faces around me, we all felt the same way. Q: What would you recommend to an older adult who wants to increase their activity levels? A: I always say whatever you choose to do, take it slow and modify exercises if you have to —I’m not sure ‘wall push-ups’ are a thing, but they are in my world. I’m not strong enough yet to do a regular push-up so I just step a short distance away from the wall, lean in and do my best to push myself away again. 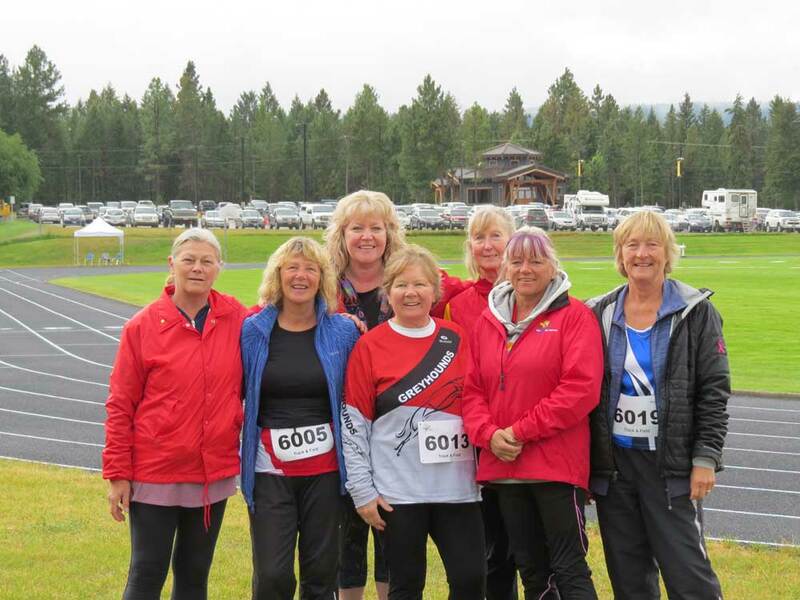 My journey as an athlete at the 55+ BC Games is just beginning but having that goal to participate makes it so much easier to get off the couch and start moving. So pick your activity and join the fun in Kelowna, September 10 to 14, 2019 at the 55+ BC Games. Read Christine’s review of the 2018 55+ BC Games at the Prince George Citizen.